The coolest nail polish trend is happening right now. 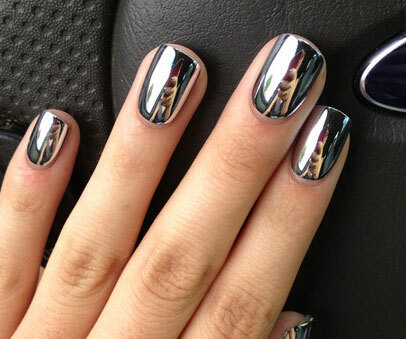 And if your not already obsessed with Chrome nails…your about to be! This ‘mirror’ or ‘chrome’ technique takes the process of our traditional Shellac manicure one step further,with a special powder that transforms into a smooth,blindingly shiny coat. The colours you can have are limitless and wether you have every nail done or just a few, you will not be disappointed with this new treatment.